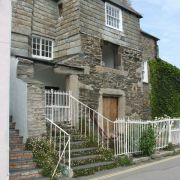 Rick Stein (OBE) is a celebrity chef and author of several award-winning cookery books whose impact on the local economy of Padstow (Stein and his ex-wife Jill own four restaurants, three shops, a cookery school and a pub) has caused this sleepy town on the north Cornish coast to be dubbed 'Padstein' by some locals. 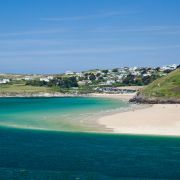 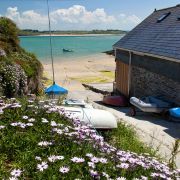 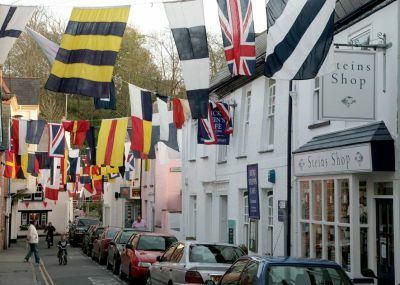 Rick Stein grew up in London, although he spent many of his school holidays in Padstow, where his parents owned a house. 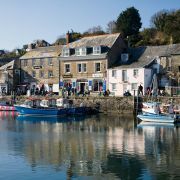 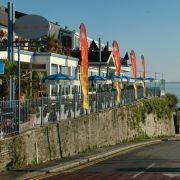 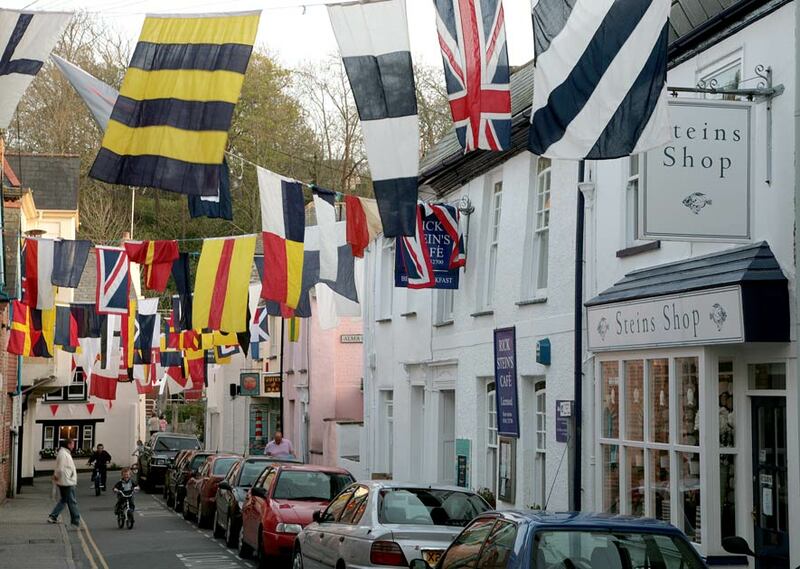 Stein moved to Padstow soon after graduating from Oxford, and opened the now-famous Seafood Restaurant, situated right across the quay from where trawlers and lobster boats land their catch, in 1975. 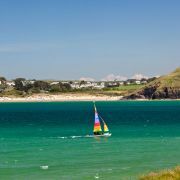 Over the past quarter-century, Rick Stein has watched his business grow from strength to strength, no doubt helped along by a series of wildly popular cookery programmes he did for the BBC, including 'Fruits of the Sea', 'Food Heroes' and 'Seafood Lovers' Guide', which turned him into something of a celebrity. 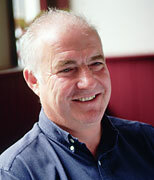 Rick Stein still spends part of the year in Padstow looking after his business empire, which includes St Petroc's Bistro on New Street, with its bustling, lively atmosphere with heated al-fresco courtyard, Rick Stein's Cafe on Midle Street - coffee, croissants and gourmet fish cakes, Stein's Fish and Chips right on the harbour, easily the best fish and chips in Conwall, the Cookery School, where individuals can take one or two day cookery courses, and the newest acquisition, The Cornish Arms, a pub in nearby village St Merryn, for which Stein has been busy developing (alongside St Austell Ales) his very own ales, Chalky's Bark and Chalky's Bite.